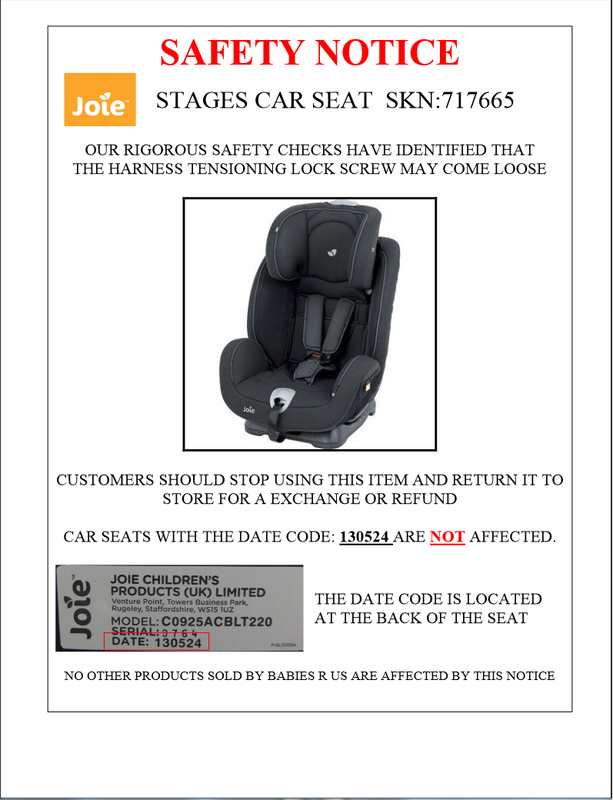 The Joie Stages has had a recall announcement from Toys R Us. 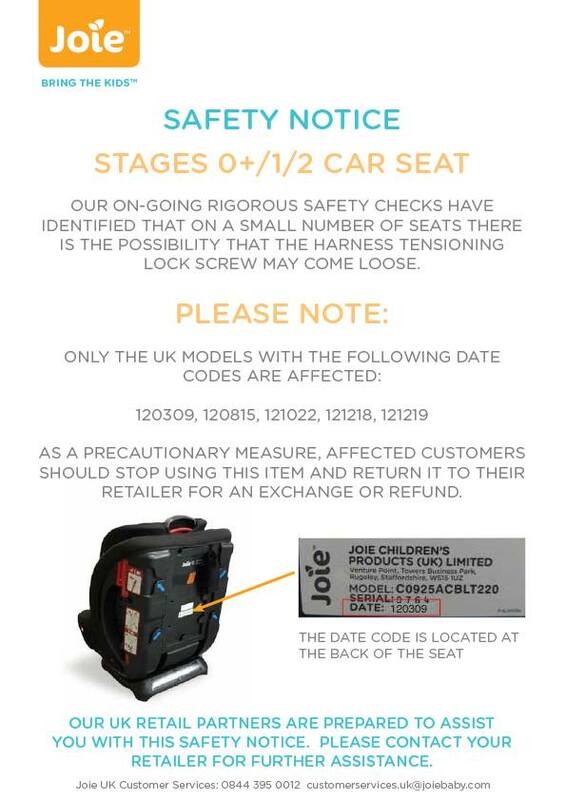 Car seats with the date code: 130524 are not affected. The Date code sticker is located on the back of your seat. Contact your local retailer (phone nr is on Toys R Us website under “find retailer”) and quote your date code to see if the car seat you own is of the ones recalled. This is what the sticker looks like. Now I want to highlight that there’s no need to panic! 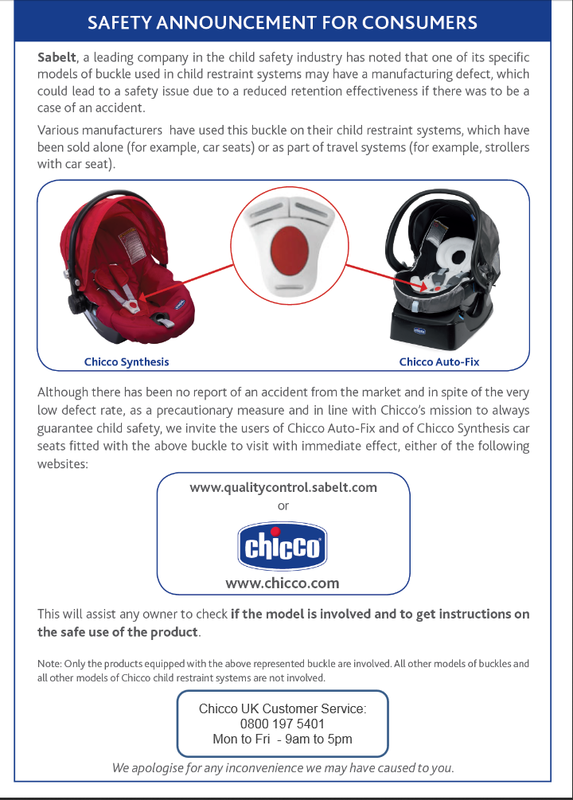 This will assist any owner to check if their model is involved and to get instructions on safe use of the product. Note: Only models with this specific buckle (in the picture) are involved.